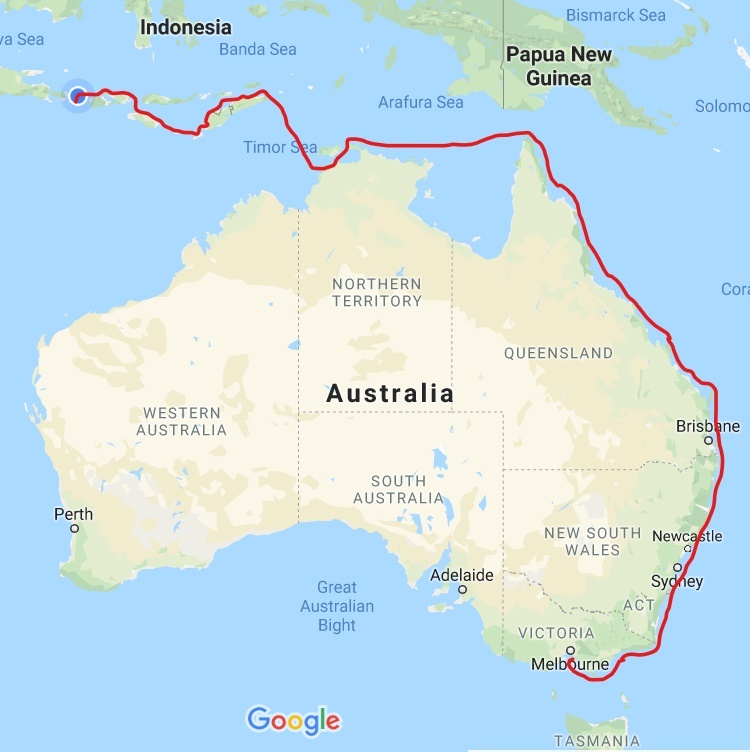 Last year we sailed from Hastings (Victoria), up the east coast of Australia, turned left at the Torres Straight Islands to Darwin, then hooked a right up to Dili (East Timor), where we meandered westward through East Nusa Tenggara (Indonesia) until we got to Lombok. We left Red Dragonfly at a little island called Gili Gede in southwest Lombok. You can see the general route in the featured image above. We boarded up our house in the mountains and moved onto the boat in May 2017. We left in June and flew back home in December. It was our first ever sailing trip as a family. Our first big trip on Red Dragonfly. The day we left Hastings was the first time Markito, Zach and Freyja had EVER been sailing. It was the second time I had ever been sailing – the first time was a few months early for about 3 hours. Simon is a pretty experienced sailor (pretty and experienced, as he would say) and was a thoughtful and patient Captain. It was a big adventure. A challenge. It was hard and fantastic. Now we are back on board Red Dragonfly for Round 2 in Indonesia, 2018.